At last after five trips to Australia (seven for Jenny), we’ve finally seen a koala. We had to go to a Conservation Centre on Phillip Island mind you, so it was not totally wild I’m afraid. However, these rather shy, and threatened species are difficult to spot in the wild, so we were glad to see about ten of them at the centre. Here’s a link to other wildlife we saw during our stay on Phillip Island – there should be a caption, or some kind of identification in the Information panel. 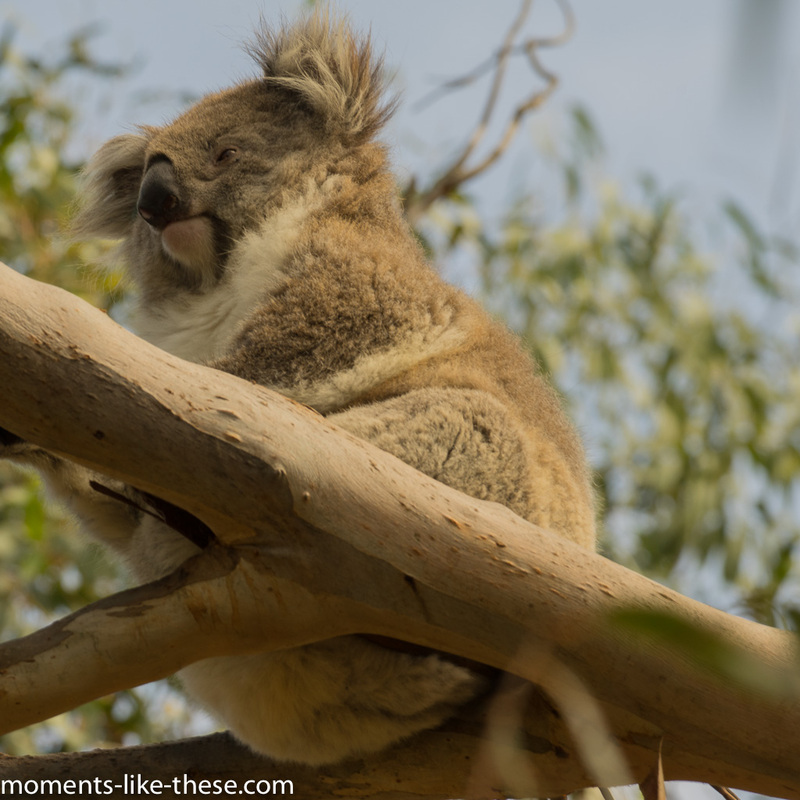 This entry was posted in Nature and tagged 2017, A7r, Australia, fairy-wren, gullah, kangaroo, koala, pelican, Phillip Island, swamp wallaby.